R.E. 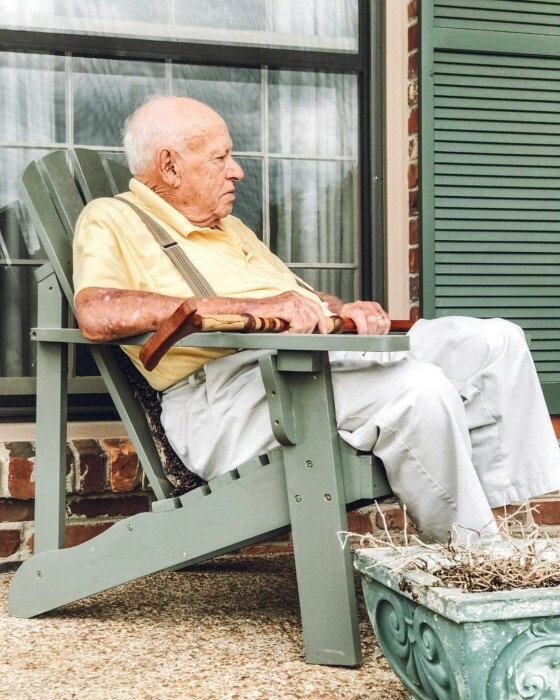 “Bub” Edwards, 90, of Springfield, passed from this life on Sunday March 31, 2019 at his home. Funeral services will be conducted Saturday April 6th at 11:00 a.m. in the Oakhurst Chapel of the Robertson County Funeral Home with Reverend Paul Perdue officiating. Interment will follow in Springfield Memorial Gardens with David Edwards, Michael Edwards, Lars Edwards, Gairdt Edwards, Aren Edwards, Ryan Blackwell, Michael Watts, and Terry Watts serving as pallbearers. Honorary pallbearers will be the Hardee’s Coffee Club. The family will receive friends on Friday from 4:00 p.m. until 7:00 p.m. and on Saturday from 10:00 a.m. until service time at the funeral home. Mr. Edwards was born December 2, 1928 in Robertson County to the late Martin Walker and Georgia Lipscomb Edwards. He graduated from Coopertown High School. Mr. Edwards worked for U.S. Tobacco, having started as a buyer and then retired as the manager of the Springfield location. He was a member of New Chapel United Methodist Church, the Hardee’s Coffee Club, the New Chapel Men’s Club, the Coopertown Men’s Club, and was a former Robertson County Commissioner. Mr. Edwards loved fishing, hunting, and growing his vegetable garden, especially his straight rows of tomato’s. His friends and neighbors always received the bounty of the vegetable garden he grew. In addition to his parents, he was preceded in death by his brother: George W. Edwards. Mr. Edwards is survived by his wife of 70 years: Bettye Watts Edwards of Springfield, by his sons and daughters-in-law: Lynn and Megan Edwards of Murfreesboro, Ken and Kathryn Edwards of Old Hickory, by his daughter and son-in-law: Diane and Steve Blackwell of Thompson Station, by 10 grandchildren and 14 great grandchildren.